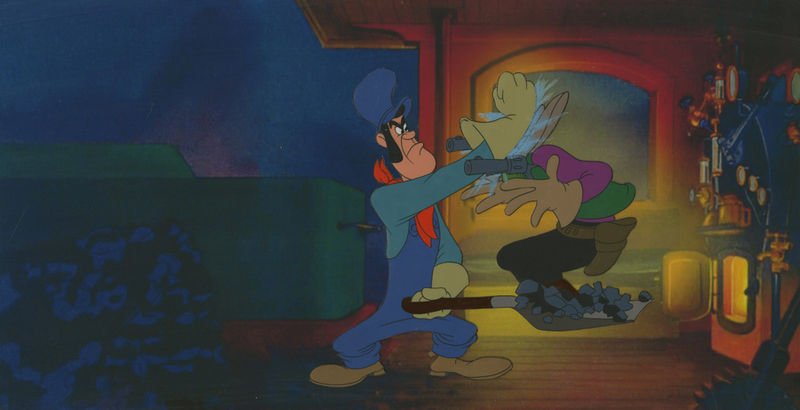 This is an original production cel featuring Casey Jones hitting a train robber while still shoverline coal, from the Walt Disney Studios production of The Brave Engineer (1950). 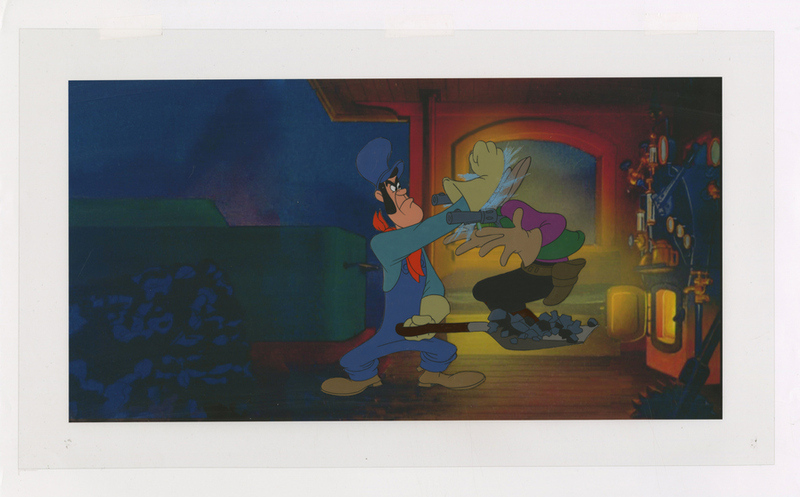 This hand-painted cel was created at the studio and used during the production of the film, representing an actual frame of animation that was photographed and appears in the film. The cel is trimmed to the character image, which measures 5.5" x 6". The cel is in good condition and has been attached to a new cel layer and paired with a color copy reproduction background.